People with reduced mobility (PRM) travel rights vary considerably depending which airline one chooses, and which is the final destination of the flight. While all IATA (International Air Transport Association) member airlines should comply with IATA resolution 700, (Acceptance and Carriage of Incapacited Passengers) European and Non European Air Carriers are subject to different regulations depending on the final destination of the flight. The duties and rights of people with reduced mobility can be found in two separate regulations: U.S. Department of Transportation 14 CFR Part 382 (Nondiscrimination on the Basis of Disability in Air Travel) and EU Regulation 1107/2006 concerning the rights of disabled persons and persons with reduced mobility when travelling by air. DoT 14 CFR Part 382 applies to all air carriers, U.S. or foreign, whose flights originate or terminate at a U.S. airport irrespectively of the point of origin of the flight. EU Regulation 1107/2006 applies to all European air carriers whose flights depart from and arrive at a European airport. The law also applies to European Air Carriers departing to or arriving from airports located outside the European Union. Non European air carriers "should" comply to EU Regulation 1107/2006 for all flights departing from a European airport. However, this is rarely the case. Non European and Non U.S. air carriers operating outside territories falling under the scope of DoT 14 CFR Part 382 and EU Regulation 1107/2006 may be subject to regulations individual to the country in which the air carrier originates from. DoT 14 CFR Part 382 identifies the air carrier as sole responsible for providing accessibility services to people with reduced mobility. From the moment PRM enter the airport terminal to their assistance on board the aircraft and vice versa, the air carrier is sole responsible of all assistance services. EU Regulation 1107/2006 divides responsibilities and duties between airport managing bodies and air carriers. Air carriers' assistance requirements are limited to assistance on board the aircraft. Assistance within the airport terminal building is upon the airport managing body. Because of this separation of roles, it is far from uncommon for PRM to experience disservice while boarding or deplaning the aircraft due to communication issues between air carriers and airport managing bodies. DoT 14 CFR Part 382. The regulation applies to all flights from or to the United States of America, irrespectively of the nationality of the air carrier. Kuwait Airways flies a nonstop service from London Heathrow to New York JFK. Even though originating from Kuwait City, the leg London - New York falls under the scope of DoT 14 CFR Part 382. 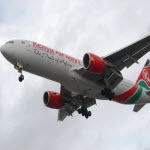 It is unclear, because not clearly specified within the Regulation, if connecting flights under the same flight number constitute a single flight. (*) Note: we are setting a lobbying process in motion to achieve full clarification of this issue. Emirates Airlines flies from Dubai to London - EU Regulation 1107/2006 does not apply to this flight. In order to protect your rights or the rights of the person with reduced mobility traveling, one must give the air carrier notification of the individual's specific needs no less than 48 hours before the published time of departure of the flight. This can be done by contacting your travel agent or the air carrier directly. Some airlines allow passengers the ability to request assistance via their web sites' electronic features when booking online. WCHR. The passenger can ascend/descend steps and make own way to from cabin seat but requires wheelchair for distance to/from aircraft, i.e. across ramp, gate or to mobile lounge as appropriate. WCHS. Passenger cannot ascend/descend steps, but can make own way to from cabin seat; requires wheelchair for distance to from aircraft or mobile lounge and must be carried up down steps. WCHC. Passenger totally immobile; requires wheelchair to/from aircraft/mobile lounge and must be carried up/down steps and to from cabin seat. d) Passenger might have their medical condition aggravated during or because of the flight. Passengers have the duty and responsibility to comply with medical clearance request. Failure to comply may result in denied boarding. However, people with reduced mobility who only require assistance at the airport, or in embarking or disembarking the aircraft shall not be subjected to medical clearance. It is unlawful for an air carrier to seek medical clearance from PRM requesting the above assistance. These rights apply to all European domestic flights, All U.S. domestic flights, flights from and to the United States of America irrespective of the nationality of the air carrier, flights from the European Union to all other destinations and vice versa operated by European air carriers. Please note: when traveling with a non U.S. or European air carrier to destinations other than the EU or the USA your rights come under the protection (or not) by the national law of carrier's country of origin. * Assistance to move from the check-in counter to the aircraft, with completion of emigration, customs and security screening. * Assistance to board the aircraft with the provision of lifts, wheelchairs or other assistance needed, as appropriate. * Assistance to move from the aircraft door to your seat, help to store and retrieve baggage to and from the overhead locker. * Assistance in moving from your seat to the toilet. * Assistance to move from your seats to the aircraft door. * Assistance to disembark from the aircraft, with the provision of lifts, wheelchairs or other assistance needed, as appropriate. * Assistance to go from the aircraft to the baggage hall and retrieve baggage, with completion of immigration and customs procedures. * Assistance to move from the baggage hall to a designated arrival area within the airport terminal building. * Assistance to reach connecting flights when in transit, with assistance on the air and land sides and within and between terminals as needed. * To be assisted by an accompanying person who can provide the necessary assistance in the airport and with embarking and disembarking. * Ground handling of all necessary mobility equipment, including equipment such as electric wheelchairs subject to notification of at least 48 hours prior to the time of departure of the flight. * Transport free of charge of up to two pieces of mobility equipment per disabled person or person with reduced mobility, including electric wheelchairs, subject to notification of at least 48 hours prior to the time of departure of the flight. * Carriage free of charge of recognised assistance dogs in the cabin, subject to national regulations. *To be seated next to your accompanying carer whenever possible (mandatory if PRM is a minor). * To the temporary replacement of damaged or lost mobility equipment. Please note: people with reduced mobility or travel disability must receive the above assistance. It is unlawful of an EU or U.S based air carrier (or any other air carrier flying from and to the United States of America) or airport managing company or their third party service providers to deny the above assistance in part or as a whole. More often than not, people with reduced mobility are subject to discrimination and embarrassment when traveling by air. Because of intersecting and overlapping legislations there is no single model to complain about an alleged infringement of laws protecting the rights of PRM. The section "PRM Rights: How to Complain" provides information and advice on the subject. The content of this page is for information and guidance only. The content of this page shall not be treated, seen or considered as legal advice. If you need legal advice, please contact a solicitor.